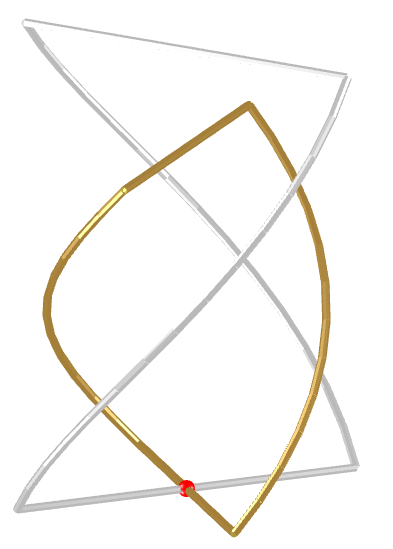 Image of the Dual-band self-phased QHA. By manipulating the dual resonant characteristics of the self-phased quadrifilar helix (S-P QHA) currently available in Antenna Magus, dual band, circularly polarized performance can be achieved. The Self-phased dual-band QHA, is designed for dual band applications by modifying the two bifilar loops of the antenna to obtain operating frequency ratios from 1.1 to 1.7. Dramatic pattern degradation is observed, when the ratio becomes greater than 1.7:1. This antenna can be used for applications such as GPS (L1 at 1575.42 MHz and L2 at 1227.60 MHz), as shown below. The resonant frequencies are mainly controlled by the size of each of the bifilar loops. 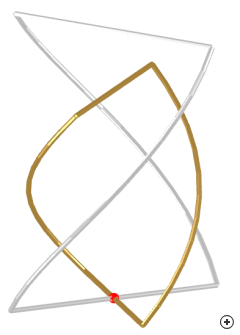 Interaction between the two bifilar loops must be taken into account for small frequency ratios where the loops become similarly sized. 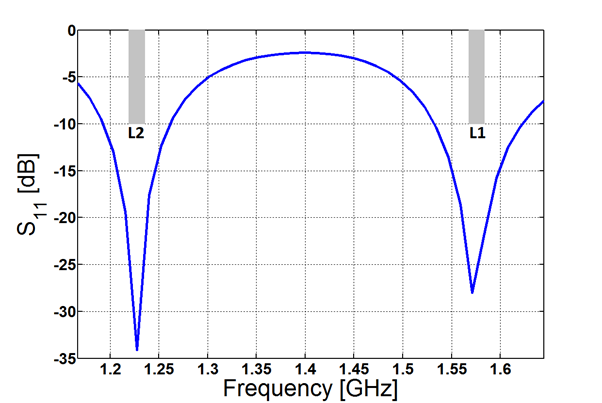 Radiation patterns of a dual-band self-phased quadrifilar helix antenna designed for GPS, at the L1 and L2 bands. 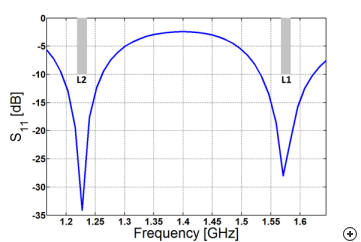 Reflection coefficient of a dual-band self-phased quadrifilar helix antenna designed for GPS, showing a good impedance match over the L1 and L2 bands.